After the wit, imagination and depth of traditional story-telling in Warwick Thornton's opening night film at the Sydney Film Festival, it was always going to be hard for other Indigenous film-makers to compete. Works that I saw include the new doco, 'Connection to Country', the historic works 'Two Laws' from 1981 and 'My Survival as an Aboriginal' from 1979, and, to my surprise, the thriller 'Australia Day', which turned out to have a strong Indigenous element with both the central cop (Shari Sebbens) and a 14 year old Aboriginal kid from the back-blocks of Brisbane taking key roles. I have to say that 'Connection to Country' was a bit of a disappointment. Its title – says it all really; and I guess I knew much of the message that film-maker Tyson Mowarin was trying to share. 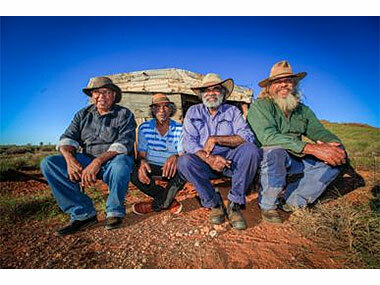 Aborigines – in this case, in the Pilbara – love their Country, owe their Country respect and duty, and have to fight like buggery to keep that relationship intact in the face of white people, who, after 230 years, still thinking that owning the land is the only way to live with Australia. And I was expecting much more of Murujugu – the Burrup Peninsular - where maybe a million petroglyphs are under threat from industry encouraged there by WA State governments, until now – when there's the slightest hope that the new ALP government will take some sort of conservation action. But in terms of selling the glories of those ancient images incised on rock, the film-makers seemed restricted by local sensitivities in ways that someone like Mike Donaldson, who's produced a magnificent book of photos, was not. On the other hand, the doco does a fair job pointing out the damning differences between the laws that conserve an early 20th Century stink-pipe in Perth and those supposed to protect those petroglyphs and 1300 other sacred sites in the region. An intriguing suggestion linked (in my mind at least) the potency of the very much pre-Wave Hill walk-off by Aboriginal cattlemen in the Pilbara in 1940 to approval for Canada's now Aboriginal-run province which covers a fifth of the country. Rather more interesting and surprising were the pair of historic docos that appeared in the 'Feminism & Film' strand of the Festival. Both had white women directors – which suggests it's not impossible for such cross-cultural relationships to benefit their Aboriginal subjects despite the current push against it by Blak film-makers. 'Two Laws' may have been a work from the anthropological era by Carolyn Strachan, but its portrait of the Borroloola community at the bottom of the Gulf of Carpentaria in 1981 was just as that community wanted it as they broke free from rations depot and mission times and returned to Country. And, though it wasn't exactly gripping watching, it was a remarkable picture of collectivist Aboriginal story-telling unfiltered by the white voice. Sometimes, for instance, we had to be told the tale in four, slightly different ways in order to encompass the four language groups in that area. In a meta-narrative debate about history, they debated whether the brutal Constable Stott was imprisoned for beating a woman to death or not – though he was certainly tried. And we missed a lot of what looked like a fabulous Brolga mortuary dance as only one spotlight was permitted in order save us from its secret/sacred aspects. There was an optimism based upon the refrain, “When the Land Rights came.....”. I suspect that community's devastation today after the McArthur River Mine came – as seen in the art of Stewart Hoosan and Nancy McDinny - has dissipated much of it. The late Essie Coffey might have stopped that mine! This Brewarrina dynamo somehow survived birthing a small tribe and adopting another, being removed from Country to a town camp she despised, supporting a bunch of useless males, starting up the Aboriginal Legal Service and dreaming of the sort of rosy-pink life that American TV showed her. 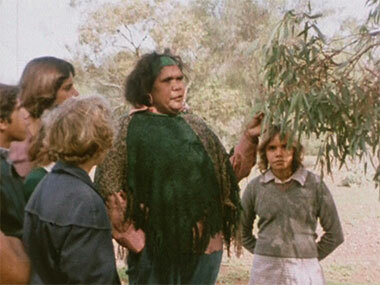 Yet she still found time to balance out what she saw as an excess of “white man's education” by taking all the kids bush and teaching them tracking, catching, gathering and bush cooking skills – all accompanied by mellifluous Country & Western tunes and her politically charged words. The great doco-maker, Martha Ansara, like Carolyn Strachan, made 'My Life as an Aboriginal' about and with Coffey – virtually an autobiography. Overall, the generational transmission of culture from 'the Old People' to the young was the key element all across this range of works.